In 2015, Interface Engineering was awarded the opportunity to convert the existing American Geophysical Union Headquarters into a world-class, Net-Zero Energy facility. Pending final project approval, the full-building renovation will transform the space into a state of the art work environment that facilitates internal collaboration and showcases AGU’s contributions to Earth and space sciences. The modernization design includes a mixture of modern workspaces and cutting edge meeting/conference facilities that incorporate the most advanced technology and sustainable features. Some of the more innovative solutions considered for the project include municipal waste heat recovery systems, fiber-optic light infusion, radiant ceiling systems, solar concentrators, and an active "Living Wall" bio-filtration system to filter and treat indoor air. 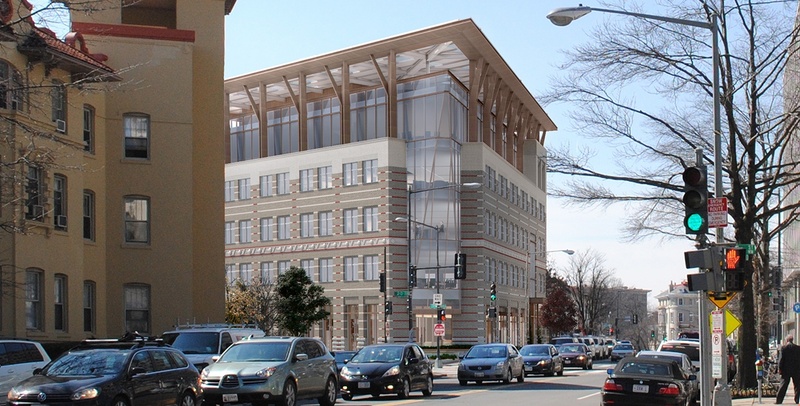 Currently in design, the project is on track (pending final approvals from the District of Columbia and the AGU Board of Directors) to reach its goal of Net-Zero Energy by incorporating these measures, along with numerous other features that altogether will vastly reduce energy consumption and produce positive energy, creating a building that truly gives back to the environment. For more information, please visit building.agu.org.